Because most people use their garage on a day-to-day basis, they often forget about the many heavy and complex moving parts that go into one door. In order to keep your home or commercial garages protected against regular wear and tear, Action Garage Door offers a variety of Forney garage door repair services to help you maintain a door that is both safe and functional. Good service Jose was here in the time promised and explained what needed to be done. Professional service with a great price! Awesome service! Ralph is great! Great Service. Ralph was awesome. While safe garage door repair often begins with having the right materials on hand, the technician’s background also plays an important role in installation security. All of our Forney, TX employees undergo a rigorous background check which looks at records for criminal activity, drug use, and other illegal actions. By hiring technicians you can trust, you can feel secure while your repair work is being performed. With all of the heavy and complicated machinery behind garage doors, it is important that all serious repair needs are trusted only to the professionals. At Action Garage Door, our trained staff is up to date with Forney city ordinances so that all codes and regulations can be met precisely. From weather damage to regular garage door maintenance, our garage door repair technicians have the training and tools needed to keep your home or business safe. 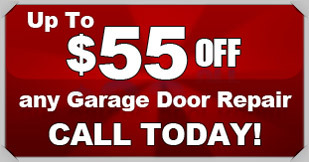 Contact us to have your garage door repaired or inspected for safety.